Big Emoji in Facebook Messenger? Facebook appears to be tinkering with the sizes of emoji sent without text via its Messenger application. 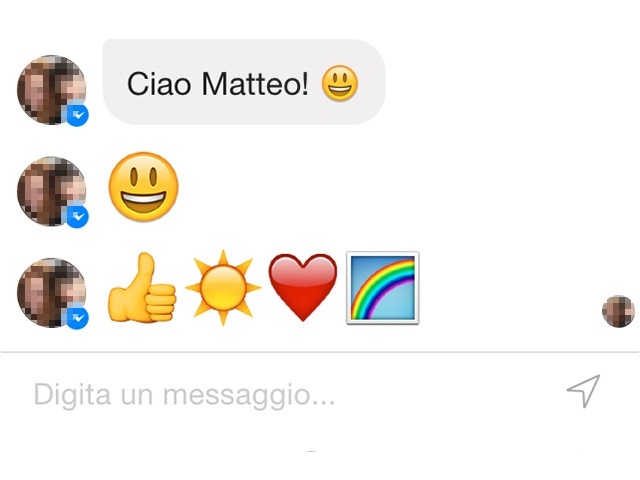 Reader Matteo Acitelli of Fanpage.it shared the screenshot above with SocialTimes, noting that when sent alone, emoji are displaying at the same larger size that stickers do. Messenger users: Have you noticed this?